Some sad news about the beautiful trees in the Beavers Bend area. It appears due to the drought last Summer, many of the local trees have developed a fungus that cannot be treated. 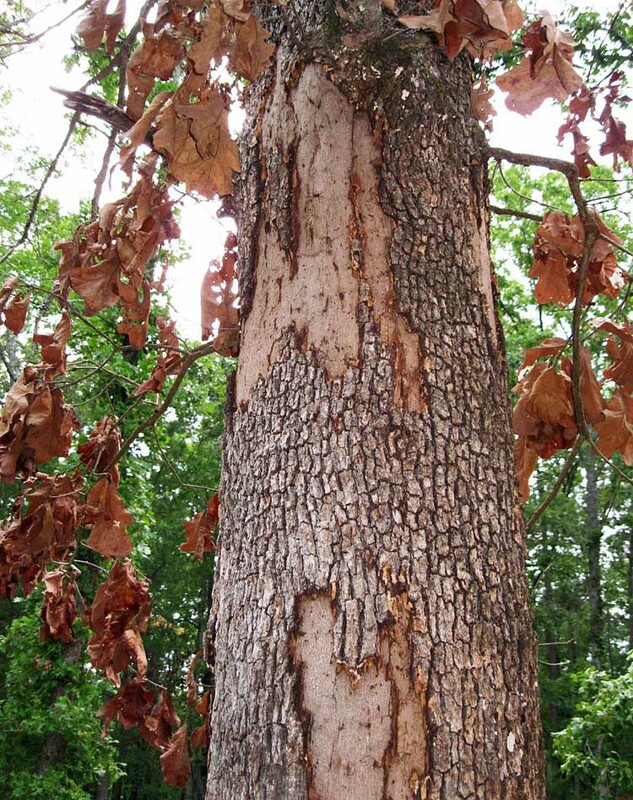 It is called hypoxylon canker and has affected many trees. It can be clearly seen while driving through the area. It can spread from tree to tree and those that are affected will have to be cut down and burned on the spot. If your trees have lost their leaves on top, or never shed them from last Fall, it could be a symptom of the fungus. Luckily, our cabins were not affected, but others in the area had major losses.